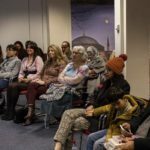 Yunus Emre Institute- London hosted a talk on the history of Ottoman cuisine and a fascinating photography exhibition on March 8th, 2019. 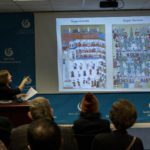 This lecture event was based on Priscilla Mary Işın’s book “Bountiful Empire: A History of Ottoman Cuisine”, which examines the culinary culture of the Ottoman Empire as it changed and evolved over many centuries. 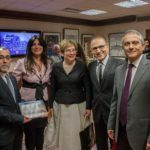 Accompanying the talk, a photography exhibition entitled “Magnificent Spice Bazaar” has been organised to explore one of the most mystical and emblematic places of Turkish culinary culture and represent the diversity of the Ottoman Empire along with the heritage of the Spice Bazaar. 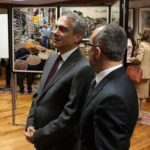 The exhibition opening hosted distinguished guests such as Turkey’s Ambassador to London Umit Yalçın, London Director of Yunus Emre Institute Mehmet Karakuş, Tunisia and Philippines Ambassadors, General Secretary of IMO along with many art lover Londoners. 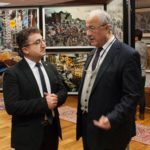 with a special selection of his works from the archive of Doguş Group. Ara Güler, who passed away in 2018, had documented Turkey and the world for almost 70 years. 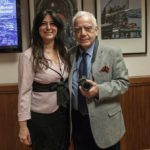 This collective exhibition includes 19 photographers from Turkey with Turkish, Armenian, Greek and Jewish backgrounds among whom are 2018 Presidential Culture and Arts Grand Award owner Mr. Izzet Keribar in the field of arts/photography, and Mr. Ersin Alok, a prominent photographer and film maker who founded the Photography Institute of Mimar Sinan University in Istanbul. 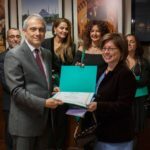 This multicultural event, praising the rich diversity of Turkish culture has been curated by artist Mrs. Terry Katalan and organised by Yunus Emre Enstitüsü – London in collaboration with the Turkish Embassy in London, Turkish Airlines and Ara Güler Museum. As the artists bring the Magnificent Spice Bazaar from Istanbul to London, the diverse cultural bonds between the two metropolises will no doubt be strengthened. 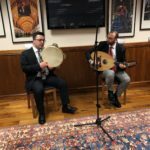 During the opening night, Baha Yetkin played the oud and Harun Korkmaz sang classical Turkish songs dating back to 18th century. 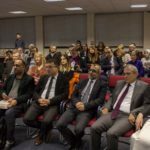 This exhibition will run from 8 to 22 March 2019 and can be visited admission-free at Yunus Emre Enstitüsü – London.